With miles of sandy shoreline, sunny skies, and a rolling tide, it’s easy to laze away your summertime days in Virginia Beach without ever having to ditch your flip flops. And if keeping things casual is your vibe, go ahead and veg. 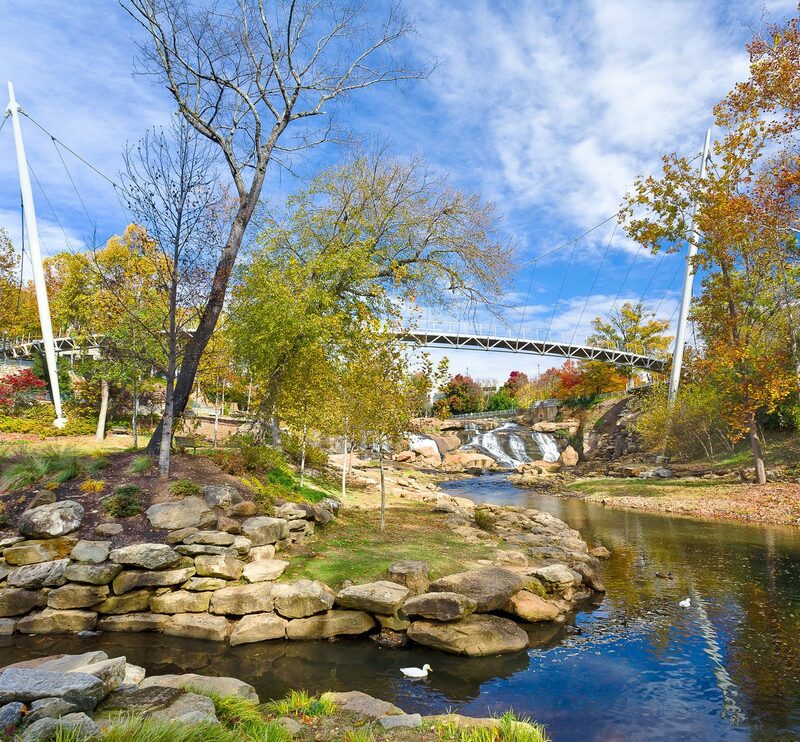 But, if you’re looking for a more sophisticated escape with swanky restos, world-class art, and luxury shopping—set to the backdrop of a coastal retreat—Virginia Beach can also satisfy even the most discerning traveler. Here, 7 reasons why the region is an elevated escape that goes beyond the surf and sand. Whether you envision waking up with the sun rising over the sea or in a chic city space in the heart of it all, Virginia Beach has a home away from home for every kind of traveler. The hard part is deciding where to stay among the region’s seven unique districts. 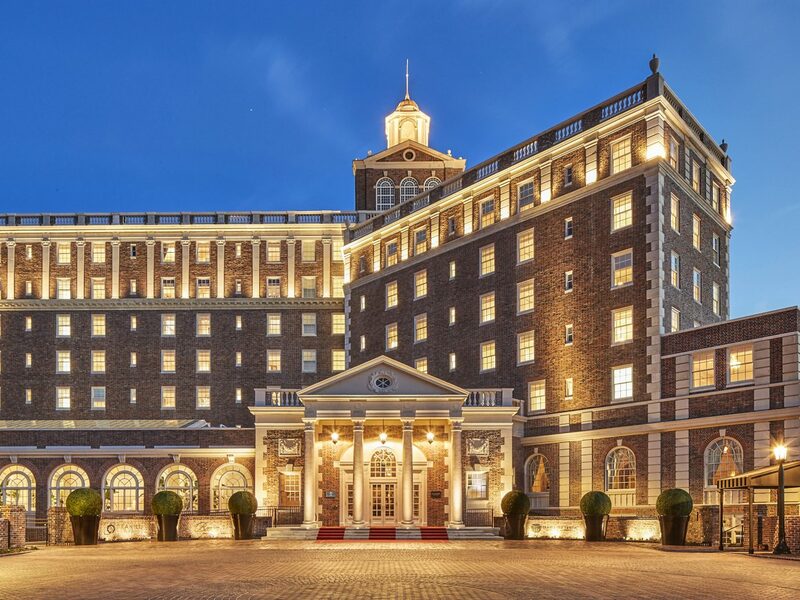 Once dubbed “The Grand Dame of the Shore,” the historic Cavalier Hotel has played host to 10 U.S. Presidents and Old-Hollywood elite. The Oceanfront property was recently restored to its former glory and boasts 62 guest rooms and 23 suites, a 6200-square-foot spa, its very own distillery, a private beach club and several fine restaurants. 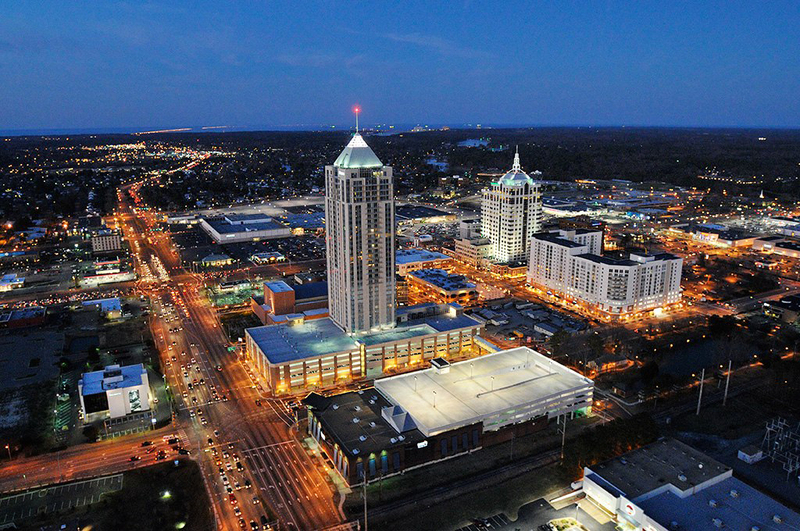 Located in bustling Town Center, The Westin Virginia Beach Town Center offers 236 luxury guest rooms including suites, a state-of-the-art fitness center, and an indoor pool—all just a stone’s throw from some of the city’s best shopping, dining and culture. 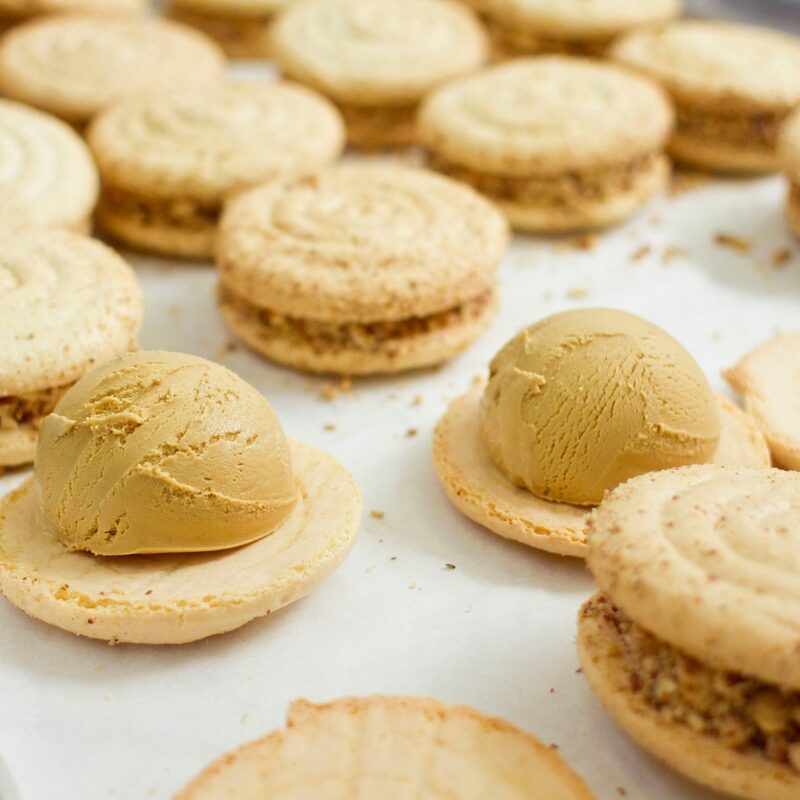 Thanks to its prime locale along the fish-rich waters of the Chesapeake Bay and amid acres of farmland, Virginia Beach is both a seafood paradise and farm-to-table haven. For a first-rate experience of contemporary new-American cuisine, Terrapin delivers big on regional flair. The AAA Four-Diamond restaurant uses locally sourced, farm-fresh ingredients. To get a taste of the ocean, The Atlantic on Pacific serves up small seafood plates and expert wine pairings that bring out the best in briny bounty. (The upscale oyster and raw bar is the main attraction here.) 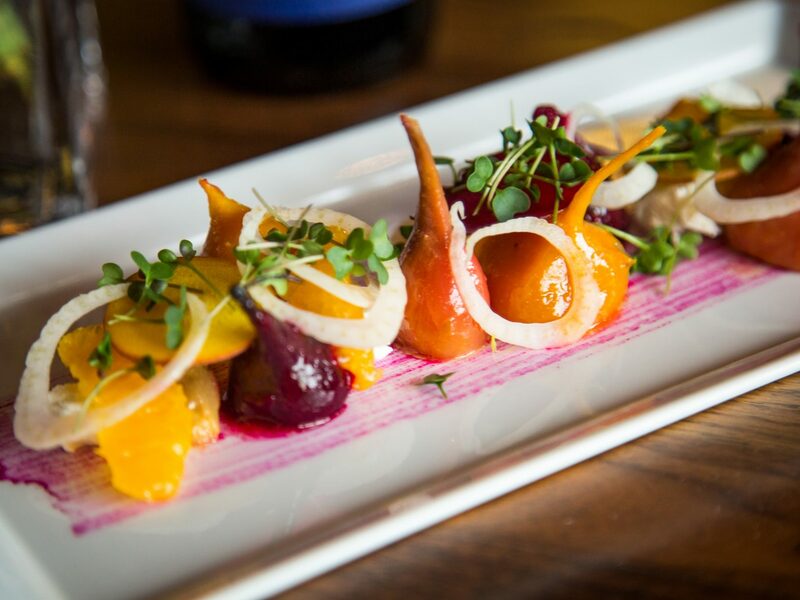 Situated in the ViBe Creative District in an historic 1920s building, Esoteric takes the farm to the table with European-influenced fare using ingredients from its on-site garden. From luxury stores to artisan craft shops, it’s hard to leave Virginia Beach without a shopping bag (or five) in hand. If you’re looking for familiar finds, Town Center is ripe with popular pickings including Lululemon, Anthropologie and J.Crew. If boutiques are more your shopping speed, The Shops At Hilltop are located just five minutes from the oceanfront. You’ll find specialty boutiques like The Creative Wedge, an artisan market with handcrafted gifts, art, and fair-trade products, and Forbes Candies and Gifts, a local favorite for salt water taffy since 1930. If you’re into one-of-a-kind finds, head to ViBe Creative District, an insta-worthy enclave for artists set amid a vibrant backdrop of street art, murals and sculptural installations. Here you’ll discover local artisan shops such as North End Bag Company, which makes leather bags from scratch using vintage sewing machines, and First Landing Woodworks with its array of finely crafted oyster shucking knives and bottle openers. 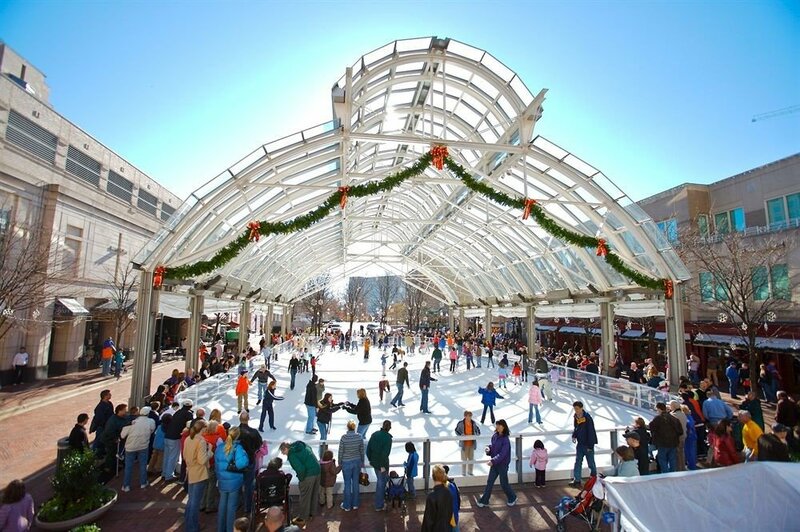 Virginia Beach is a hub for creativity where arts and theater take center stage. At the Virginia Museum of Contemporary Art, you can explore regularly changing exhibits of modern art or even take a studio class. 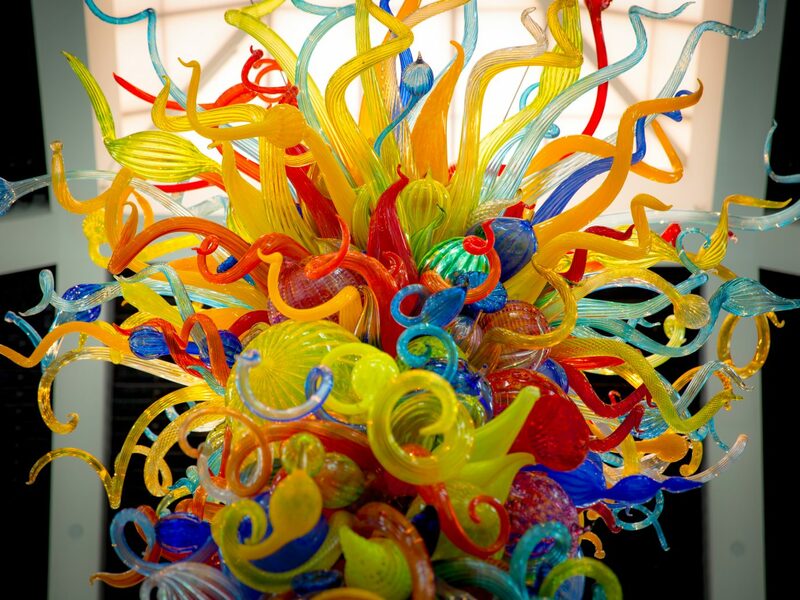 The largest fine art gallery in Virginia Beach, Stravitz Sculpture & Fine Art Gallery, features a 7,000-square-foot space filled with sculpture, paintings, jewelry and glass. To experience some high-brow entertainment, Sandler Center for the Performing Arts has a varied program of live theater, dance and music, including performances from the Virginia Symphony Orchestra and Ballet Virginia. Catch up-and-coming musicians, comics and poets with a visit to Zeiders American Dream Theater, which showcases a range of inspiring acts. Thanks to a thriving craft beer scene, you can definitely be picky about your brews. Sip your way along the Virginia Beach Beer Trail, featuring more than 25 locally-owned breweries and taprooms from the Chesapeake Bay District to the Oceanfront. Some highlights on tap include Tarnished Truth Distilling Company at the Cavalier Hotel, the country’s first craft distillery located inside of a hotel, where you can savor the unique flavors of a small batch distillery. 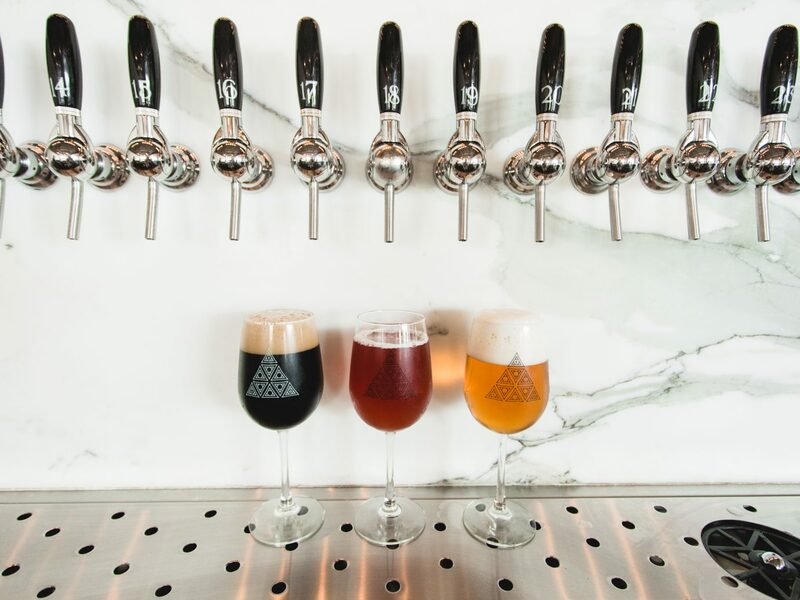 Back Bay Brewing Co.’s Farmhouse Brewing, which operates out of a restored 1912 farmhouse, brims with local blends and ciders made from figs, blueberries, hops and other ingredients grown on site. 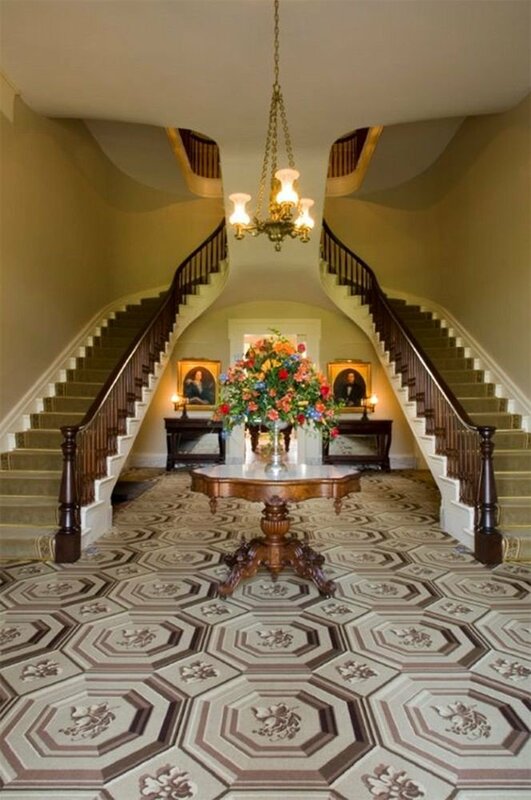 As the stomping ground for our country’s first settlers, the entire area around Virginia Beach is historic. In fact, you can amble along the same ground where our settlers first set foot at First Landing State Park. Then, visit nearby Cape Henry Lighthouse, the first lighthouse commissioned by the U.S. Government in 1792. 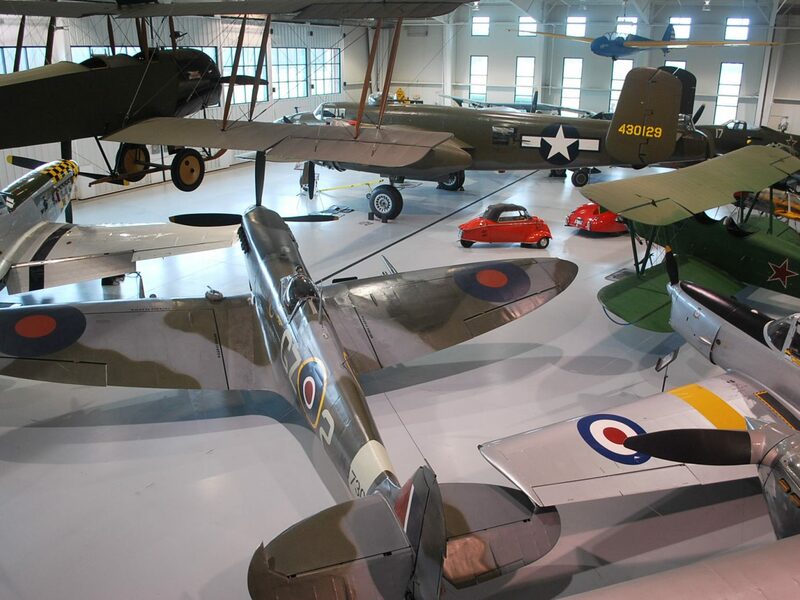 Located in the Pungo Agricultural District, the Military Aviation Museum boasts the largest private collection of aircrafts from the first 50 years of military aviation, including the P-51 Mustang used by the Tuskegee Airmen, the German Messerschmitt Me-262 and the de Havilland Mosquito. To see how the locals lived, take a tour through Adam Thoroughgood House, the oldest home in the area, which brings the colonial era to life through interactive exhibits. Home to thousands of acres of parks, hundreds of miles of inland waters, and myriad wildlife, getting outside comes second nature here. One of the best ways to experience the scenery is on the water. Take to the tide aboard a kayak—Tula Sports offers a guided tour on Long Creek where you’ll see spectacular vistas including the interior shoreline of First Landing State Park. For an experience on sand, head to Sandbridge, a secluded beach locale with picturesque dunes and swaying sea oats. 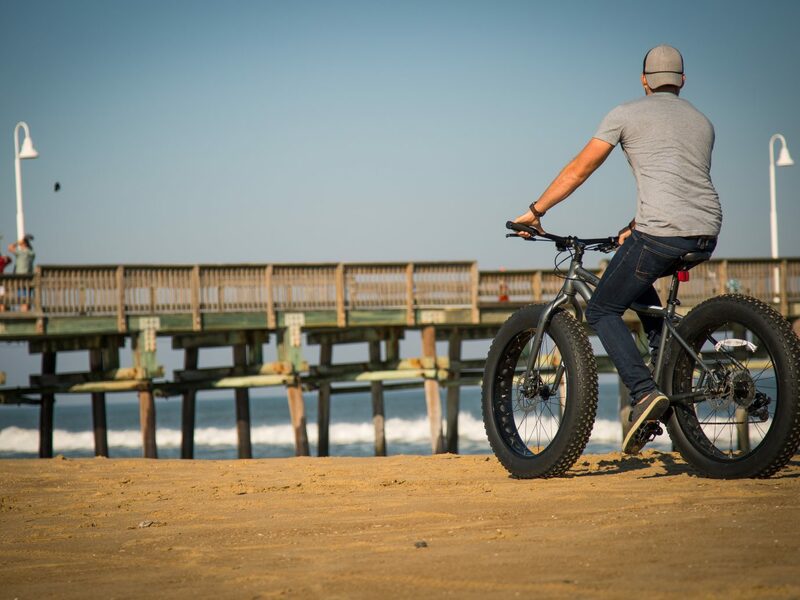 Here, you can rent fat-tire bikes at Surf and Adventure Co. and ride right on the sand. And, of course, golf is in full swing in Virginia Beach, thanks to a variety of public courses including Virginia Beach National, a former Tournament Players Club designed by golf legends Pete Dye and Curtis Strange. Don’t forget your clubs!